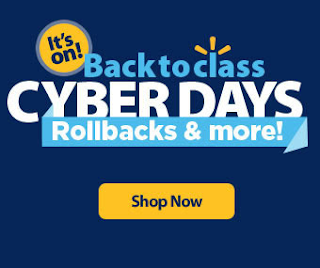 Hurry over to check out Walmart’s Cyber Days Back to School Sale! You’ll find hot deals on Electronics, School Supplies, Clothing, Appliances and Much More. 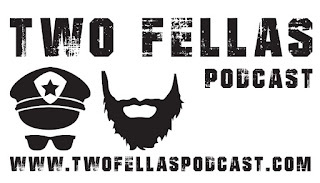 Checkout all of the deals HERE! Shipping is free with your $35 purchase or you can choose in store pick up to avoid shipping costs. Don't forget The Children’s Place is offering 20% off with the coupon code: BTSDM20FAF plus FREE Shipping on all orders! Be sure to check out the Clearance section where prices start as low as $1.20 with the additional discount but hurry the best deals will sell out FAST! Check out this hot deal!!! 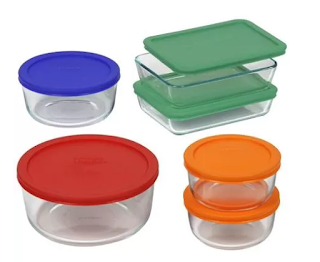 Right now you can get this Pyrex 12 piece Storage Plus Food Storage Set for just $16.88 (Retail $44.97)! Woo hoo teachers!!! Starting this Saturday, August 1st through August 4th, Office Depot/OfficeMax stores will be hosting Teacher Appreciation Days! You’ll get a 25% off qualifying purchases coupon valid 8/1-8/4 AND 8/29-9/1. Note that you will need to sign up for the free Office Depot/OfficeMax Rewards program if you are not yet a member. Plus, teachers will also be able to score a FREE calendar filled with a year’s worth of savings. And through September 30th, full-time or part-time K-12 teachers can enter the Office Depot/OfficeMax Gear Up For School Sweepstakes. The Grand Prize winner will receive a $2,500 Office Depot/OfficeMax gift card for their school and three runners-up will each receive a $500 Office Depot/OfficeMax gift card. 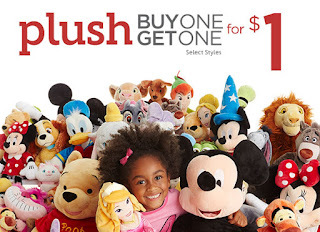 Right now at The Disney Store when you buy one Plush you get one for $1! Prices start as low as $4.99! You'll find Princesses, Mickey and Friends, Doc McStuffins Characters, Plush from Sophia the First, Star Wars and Much More! Hurry over before the best deals sell out! I am loving this deal for new moms! Seven Slings is offering a free baby carrier (a $48 value) with the promo code “ENBABY” at checkout. To get yours just go HERE and click on ‘Shop Now”, select any baby carrier you would like. Be sure to go to the sizing page so that you can get the right size carrier for you. Once you have selected your size, you will automatically be directed to the “shopping bag” where you can enter the promo code “ENBABY “. This promo code will take 100% off of the baby carrier purchase and you will need to remove the $3.99 exchange fee. You are required to pay are the shipping fees for $12.99. You can use the code more than once- simply open a new browser window to do so. If you have a K'NEX fan at your house you won't want to miss out on this deal! 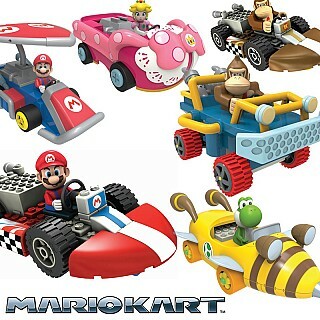 Right now you can get a Mario Kart K'NEX Building Sets (7 to choose from) for only $7.96! Shipping is free when you use code KNEWMARIO during checkout! This is a perfect gift idea! While you are there be sure to check out the K'NEX Super Mario Figure Pack for only $5.99 shipped (no code needed)! If you have a young girl, here is a magazine deal for you that is good today only. Get a subscription to Girls' Life for $5.99 per year. 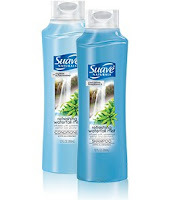 The cover price is $21 and the regular price on this site is $14.95. Use the code CITYMOMMY at checkout. You will receive 6 issues per year and can order up to a 3-year subscription at this price. 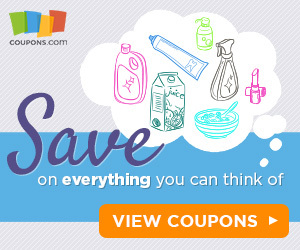 There are several rare printable coupons available today that you will want to print before they reach print limits. Below are direct links so you can easily find your favorites. 4-Pack Girls School Uniform Short Sleeve Polos Witch Scotchguard Only $18!! 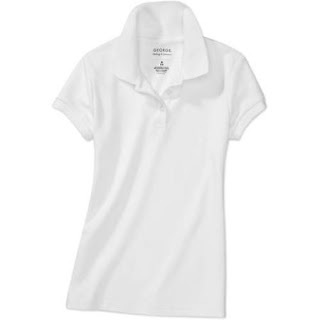 Get your daughter ready for Back to School with this deal on uniform shirts from Walmart. Right now you can get this 4-Pack of Girls' School Uniforms Short-Sleeve Polo Shirts with Scotchguard for $18. There are 14 colors to choose from. It's Friday which means another Free App Friday from Smart Apps for Kids. You can download a bunch of apps for free. Today they are featuring a reading program with 50 apps worth over $200, math apps, an Autism app by Dr. Gary Brown, a $20 ABA app, an excellent Synonym matching game, and a fun time-management game. Most of these apps are free ONLY UNTIL 10 PM (U.S. CST), so start downloading now! If you have an android phone – check out the FREE Apps HERE! Right now Kohl's is having their Friends and Family Sale, which will give you an extra 20% off your order. Simply enter code FAMILY20 at checkout to save an additional 20% off all orders! 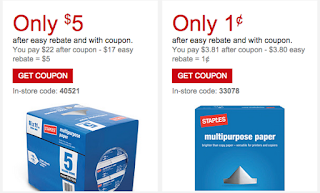 Staples 5 Pack Copy Paper Only $5 After Easy Rebate and Coupon = $1 per ream! Head over HERE to check out all of the deals. Here is another great sports apparel deal! Right now get Reebok Men's Athletic Shorts in a 3-Pack or 6-Pack starting at $24.99! Sizes range from L-XXL (medium is already sold out. There are several colors to choose from! The Men's Performance Shorts from Reebok feature double-layer mesh for extra comfort. An elastic waistband with inner drawstring provides a superb fit. Moisture-wicking fabric keeps you dry and comfortable. You'll receive 3-pairs or 6-pairs of shorts per order! If you order the 6-Pack, you'll get 2 of each color in the specified combo. Right now get select Earth Yoga Women's Apparel starting at $14.99 (Retail $34.99)! 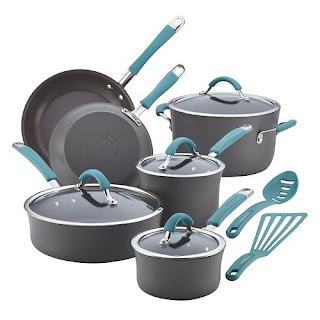 You will save 50% plus on these hot deals! You can get capris, tees and much more! Your favorite yellow creatures are now in mini form! From the new Minions movie, check out these mystery mini movie minions! Each vinyl minion figure is wrapped in black "blind" packaging inside the sealed box - which one will you get? Mini figures are random and assorted - opening it is part of the fun! Keep the good times rolling this summer with Blue Bunny! If you do not regularly buy the Sunday newspaper you will want to this weekend! This August 2nd your local newspaper will have a special offer on Blue Bunny ice cream cartons, cones, sandwiches and bars redeemable at a retailer near you. Blue Bunny Ice Cream is a tasty treat that we all love at my house! Make that treat even sweeter by saving on your purchase with the coupon you find this Sunday! Whether it's the signature Bunny Tracks, classic Simply Vanilla ice cream sandwiches or irresistibly fun Mini Swirls, ice cream aficionados throughout all 50 states can choose from tantalizingly tasty Blue Bunny ice cream flavors and a delectable collection of cones, sandwiches and bars. Made in Le Mars, Iowa, Blue Bunny uses fresh milk sourced from local dairy farms and turns it into delicious ice cream within 24 hours. 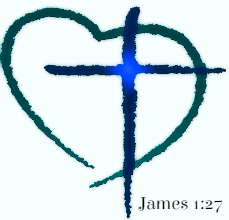 For more information about Blue Bunny, go here. Here is a great magazine deal that is good today only, Thursday, July 30th. 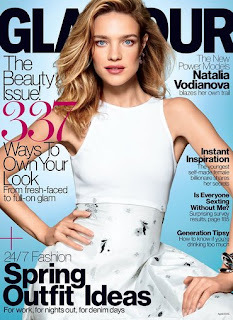 Get a subscription to Glamour magazine for $4.99 per year. 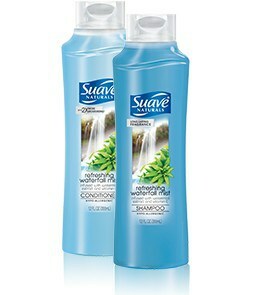 The cover price is $42 and the regular price on this site is $14.95 so this is a big discount. You will receive 12 issues per year and can order up to a 3-year subscription at this price. Use the code CITYMOMMY at checkout. 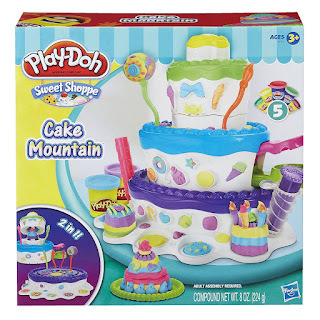 Create your own FREE Target Baby Registry to score a FREE Welcome Gift ($60 value!) packed with coupons and free samples including a bottle and MAM pacifier (just stop by the Guest Service desk at your Target store to snag your free gift). And after creating and printing your online registry, you’ll also get a store coupon valid for FREE $10 Target Gift Card with any Baby Registry purchase of $75 or more! (valid through August 1st) Plus, you should also score new Target in-store coupons valid for $1/1 Huggies Diapers, Wipes, or Gift Pack AND 15% off Johnson’s Baby or Aveeno Baby Gift Set . Check out this HOT new Promotion! Helix Sleep is a new company that is about to launch soon and they are looking for new customers. 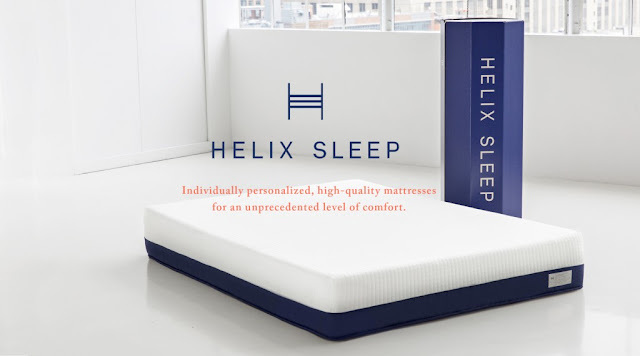 If you refer 150 friends to their site (all they have to do is sign up – no purchase required), you can get a free Helix Sleep Mattress worth up to $995! Submit your email address to get access to the promotion. If you can’t refer that many friends, you can still earn Helix Sleep credits for future purchase when you refer 5+ friends. 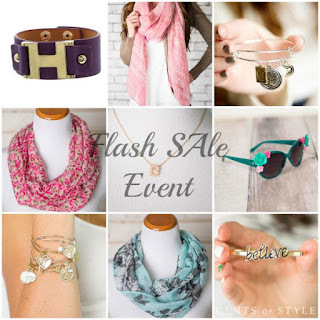 There is a fun new way to get great jewelry and save! Check out Peaches and Petals Subscription Box. Right now you can save 50% off first month of Peaches and Petals Subscription Box. Just use code PEACHSAS at check out! Peaches and Petals features fun, flirty and fashionable vintage-modern lifestyle in a hand-curated box delivered to you each month. The Peaches and Petals team will source relentlessly for fabulous products, so you just get to kick back, relax, and experience Peaches and Petals when it gets to your door!